Riley was a frequent customer of a Shop-A-Minit convenience store in his hometown of Quitman. He entered the store and asked for ice cream. The 23 year old clerk, Wynona Harris, told him to help himself to the ice cream while she counted some money. When Harris turned her back to Riley, he came up behind her and stabbed her to death with a butcher knife, stabbing and slashing her 31 times. He fled the store with a cloth bag containing $1,110 in cash. A customer came in later and found Harris's body behind the counter. A milk delivery driver told police he noticed a man in distinctive coveralls hanging around outside the store. Detectives also followed bloody footprints to the murder weapon and a money bag. Riley turned himself in to authorities later that day after hearing police were looking for him. After detectives recovered his coveralls and the stolen money inside them, he confessed. Riley v. State, 889 S.W.2d 290 (Tex.Cr.App. 1993) (Direct Appeal - Reversed). Riley v. Cockrell, 339 F.3d 308 (5th Cir. 2003) (Habeas). Two fried chicken quarters, two fried pork chops, a bowl of peaches, an order of french fries and a salad. "I know I hurt you very bad. I want you to know I'm sorry. I hope one day you can move on and, if not, I understand." Riley also apologized to his mother, who was not present, for being "not the big son that you wanted me to be." Then he reminded friends who were watching that for years he has said he was ready to die. "To the fellows on the row: stay strong. Fleetwood is out of here," he said, referring to his death row nickname. Prior Prison Record: 3/18/77: 3 year sentence for Burglary and Larceny, discharged on 11/17/78; 1/28/80: 9 year sentence for Burglary, paroled 7/12/83. Summary of incident: Convicted in the February 1986 robbery slaying of 23 year old Wynona Lynn Harris, a clerk at the Shop-A-Minit Convenience store in quitman. Harris was stabbed 31 times during the course of the robbery that netted $1,110. The money was later recovered from a pair of overalls Riley was wearing. 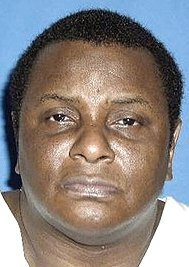 Michael Lynn Riley, 51, was executed by lethal injection on 19 May 2009 in Huntsville, Texas for the murder and robbery of a convenience store clerk. On 1 February 1986, Riley, then 27, entered a convenience store in Quitman in northeastern Texas, carrying a concealed butcher knife. Riley was a frequent customer in the store. Clerk Wynona Harris, 23, told him to help himself to the ice cream he wanted while she counted some money. While Harris had her back turned to Riley, he came up behind her and stabbed her to death. He left the store with a cloth bag containing $1,110 in cash. A customer came in later and found Harris's body behind the counter. She was stabbed 31 times. A set of bloody footprints led from the store in the direction of Riley's home a few blocks away. Detectives followed the footprints and found the murder weapon and a money bag. Later that day, Riley, who had several felony and misdemeanor convictions and was well-known to law enforcement authorities in Quitman, went to the Wood County sheriff's office after hearing that authorities were looking for him. Riley indicated that he knew something about the murder, but he denied being at the store that morning. He was allowed to leave the sheriff's office, but after a milk delivery driver informed authorities that he had spotted a man in distinctive coveralls hanging around outside the store that morning, he was brought back in for questioning. Riley then led authorities to a pair of bloodstained coveralls hidden under some brush in a field near his house. In one of the pockets was $970 in cash. He then confessed to the crime. Riley had prior felony convictions and two prior prison sentences. In March 1977, he was sentenced to 2 years in prison for burglary and larceny. He was discharged in November 1978. In January 1980, he was sentenced to 9 years for burglary of a building. He was paroled in July 1983 and discharged in July 1985. He also had several convictions for forgery and writing bad checks. A jury convicted Riley of capital murder in November 1986 and sentenced him to death. The Texas Court of Criminal Appeals overturned the conviction in November 1993 on the grounds that a potential juror was improperly struck from the jury. At his second trial, Riley pleaded guilty. A jury then convicted him again of capital murder in September 1995 and resentenced him to death. The Texas Court of Criminal Appeals affirmed the conviction and sentence in May 1997. All of his subsequent appeals in state and federal court were denied. Several of Riley's appeals asserted that he was mentally retarded and thus ineligible for capital punishment. In 1973, he was evaluated as having an I.Q. of 67, which is considered a borderline retardation level. This evaluation was admitted at his first trial. In preparation for his second trial, his attorney, William Wright, interviewed Riley's family and examined his school, probation, and juvenile records. Based on this evaluation and his own personal observations of his client, Wright concluded that Riley was not retarded, and he decided not to present the 1973 evaluation into evidence, because he believed doing so could be counterproductive to his trial strategy. Wright also consulted with Dr. Patrick Lawrence, a psychologist, about Riley's mental state. Lawrence evaluated Riley and testified at his trial that he did not pose a future danger to society, but he did not testify as to Riley's I.Q. In March 2004, the U.S. Fifth Circuit Court of Appeals ruled that Wright's actions were reasonable, and did not constitute ineffective assistance of counsel. In an interview from death row the week before his execution, Riley said that he turned to crime to support his gambling habit. "Dice took my life," he said. "It's the worst drug habit you can have." Riley said he was remorseful for his actions and held no ill will toward the jurors or prosecutors who sent him to death row. He also said that he had asked his friends not to pray for him to receive a reprieve. "They're freeing me from this place," he told a reporter. "I'm in Heaven. I can already feel it. Come May 19th, I'll be free." "I know I hurt you vary bad," Riley said to his victim's family members who attended his execution. "I truly am sorry for the hurt and pain I caused you." He also apologized to his mother, who did not attend, for not being the son she wanted him to be. He reminded his friends and supporters that he was ready to die. He concluded his last statement by urging this fellow death row inmates to "stay strong". Using his death row nickname, he said, "Fleetwood is out of here." The lethal injection was then started. He was pronounced dead at 6:18 p.m.
AUSTIN – Texas Attorney General Greg Abbott offers the following information about Michael Lynn Riley, who is scheduled to be executed after 6 p.m. on Tuesday, May 19, 2009. Riley was twice found guilty and sentenced to death for the February 1, 1986, capital murder of Wynona Lynn Harris. After Riley’s first conviction and sentence were set aside based on a jury-selection error, the State opted to retry Riley, and he was again convicted of capital murder on September 6, 1995, and sentenced to death two days later. A summary of the evidence presented at trial follows. On February 1, 1986, at approximately 9:30 a.m., Riley fatally stabbed 23-year-old Wynona Lynn Harris in a convenience store in Quitman where she worked as a clerk. Harris was stabbed 31 times. Later that day, Riley went to the Wood County sheriff’s office and indicated that he knew something about the murder, though he denied being at the store that morning. Riley left the sheriff’s office, but after evidence emerged placing Riley at the store that morning, authorities brought Riley back to the office for further questioning. Riley led authorities to evidence of the crime including the discovery of bloodstained coveralls with $970 in one of the pockets hidden under some brush in a field close to Riley’s house. Riley waived his Miranda rights and confessed to the crime. In his confession, Riley stated that he picked up a large butcher knife en route to the convenience store, and that once in the store, he waited until Harris’ back was turned before he went up to her and stabbed her. During their investigation, police found additional physical evidence corroborating Riley’s confession, including footprints at the scene which led to an area just behind Riley’s house. During the punishment phase of the trial, the State introduced the testimony of several witnesses, including law enforcement officers and probation officers about Riley’s propensity for violence. Each testified that Riley had a reputation for being violent and that, in their opinion, Riley would continue to commit acts of violence in the future. The State also presented juvenile records and statements written by Riley admitting to a number of other prior offenses involving thefts and burglaries, as well as two prior convictions for forgery. The State then presented evidence that Riley was involved in a fight with another inmate in November 1994 and was placed in segregation and taken off of the prison work program as a result. September 18, 1986 -- Riley was indicted by a Wood County grand for capital murder of Wynona Lynn Harris. November 17, 1986 -- A jury found Riley guilty of capital murder. He was later sentenced to death. November 10, 1993 -- The Texas Court of Criminal Appeals reversed Riley’s conviction and sentence. September 6, 1995 -- Riley was again convicted of capital murder for the robbery and murder of Wynona Lynn Harris. September 8, 1995 -- After a separate punishment hearing, Riley was sentenced to death by the jury. May 28, 1997 -- The Texas Court of Criminal Appeals affirmed Riley’s conviction and sentence on direct appeal. April 1, 1998 -- Riley filed an application for writ of habeas corpus with the state trial court. June 26, 1998 -- The trial court held an evidentiary hearing on Riley’s allegations. September 8, 1998 -- The state trial court entered findings of fact and conclusions of law recommending that relief be denied. December 16, 1998 -- The Texas Court of Criminal Appeals adopted findings and denied Riley’s state habeas application. April 9, 1999 -- Riley filed a federal petition for writ of habeas corpus in a U.S. district court. July 19, 2002 -- The federal district court denied Riley the relief requested in his federal habeas petition. September 6, 2002 -- The federal district court granted Riley a certificate of appealability on ineffective counsel claim. July 16, 2003 -- The Fifth Circuit Court issued a published opinion denying Riley’s request for additional COA. March 5, 2004 -- The Fifth Circuit Court issued a published opinion affirming the district court’s denial of habeas relief. June 3, 2004 -- Riley petitioned the U.S. Supreme Court for a writ of certiorari. January 10, 2005 -- The Supreme Court denied Riley’s petition for certiorari. May 17, 2005 -- The trial court held a hearing, and Riley’s initial execution date was set for September 22, 2005. September 14, 2005 -- Riley filed a subsequent state habeas application in the trial court asserting that he is mentally retarded. September 15, 2005 -- The Texas Court of Criminal Appeals stayed Riley’s execution, and remanded to the trial court. September 12, 2007 -- After the state trial court conducted a hearing and made findings of fact and conclusions of law determining that Riley was not mentally retarded, the Court of Criminal Appeals concluded that the state-court findings are supported by the record and denied relief. September 13, 2007 -- Riley filed a motion for authorization to file a successive habeas petition with the Fifth Circuit Court. December 21, 2007 -- The Fifth Circuit Court denied Riley’s motion for authorization to file a successive petition. According to the Texas Department of Criminal Justice, Riley had been arrested a total of eight times prior to his current incarceration and death sentence for capital murder. Riley served time in prison on two separate occasions for burglary offenses, and received jail time for several other burglaries, as well as arrests for public intoxication, aggravated assault with serious bodily injury, theft by check, and forgery. 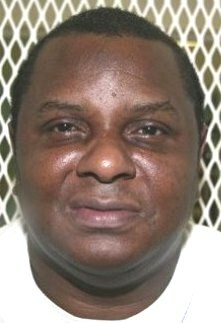 An East Texas man apologized repeatedly Tuesday as he was executed for fatally stabbing a convenience store clerk during a robbery more than two decades ago. "I know I hurt you very bad," Michael Lynn Riley said to his victim's relatives, including her two daughters and husband. "I want you to know I'm sorry. I hope one day you can move on and, if not, I understand." Brandy Oaks said she accepted Riley's apology and was pleased to hear it. She was 4 when her mother, Wynona Harris, was killed. "This is a difficult day and there are no winners on either side," she said. "Her spirit will live on in our hearts and in our lives. "I think being here was something I needed. It's the last chapter in the book. I can close it. It's over for me, emotionally, I guess." "It's strange, it's almost like I never had her to begin with," her sister, Jennifer Bevill, said about losing her mother when she was 1 1/2. She said she had to pray "for forgiveness and love and mercy — forgiveness for this person that has done this to your family." "In the long run, Jesus Crhist is our shoulder to cry on when you don't have anybody," Bevill said. Riley, 51, also apologized to his mother, who was not present, for being "not the big son that you wanted me to be." Then he reminded friends who were watching that for years he has said he was ready to die. "To the fellows on the row: stay strong. Fleetwood is out of here," he said, referring to his death row nickname. Eight minutes after the lethal drugs began to flow, he was pronounced dead at 6:18 p.m., Riley was the 15th convicted murderer executed this year in the nation's most active death penalty state. "They're freeing me from this place," Riley told The Associated Press in a recent interview. "I'm in Heaven. I can already feel it. Come May 19th, I'll be free." While he didn't volunteer for execution, he'd asked friends to not pray that he receive a reprieve. His appeals were exhausted and the Texas Board of Pardons and Paroles last week turned down a clemency request. Riley was condemned for the 1986 slaying of Harris, a 23-year-old clerk at the Shop-A-Minit convenience store in his hometown of Quitman, about 75 miles east of Dallas. He was a frequent customer and Harris told him to help himself to the ice cream he wanted that Saturday morning while she counted some money. Instead, he attacked her with a 10-inch butcher knife, stabbing and slashing her nearly three dozen times, then fled with about $1,000 in a money bag. A customer looking to get a gas pump turned on went inside the store but couldn't find anyone. "He looked behind the counter and saw the bloody gore," recalled Marcus Taylor, the former Wood County district attorney who prosecuted Riley. "Capital cases are reserved for he most violent and vicious. This was one of them. The sheer brutality of the crime was just incredible, absolutely incredible." A milk delivery driver had spotted a man in distinctive coveralls hanging around outside the store pretending to be on a pay phone. Bloody footprints leading away from the store and toward Riley's home a few blocks away led detectives to the murder weapon and a money bag. Riley turned himself in to authorities later that day after hearing police were looking for him. After detectives recovered his coveralls and the stolen money inside them, he confessed. "Your conscience definitely bothers you," he said from prison. He said gambling losses in a dice game prompted the killing. "Dice took my life," he said. "It's the worst drug habit you can have. I wanted to try to live the big life. I was trying to live the life of a high roller." In 2005, Riley was within days of execution when lawyers contending he was mentally disabled and ineligible for capital punishment won a court-ordered reprieve. "I could have been dead years ago," he said, calling himself blessed. At the time of his arrest, Riley already was well known to authorities in Quitman. When charged with Harris' slaying, he was on probation for forgery for writing a bad check. He received a nine-year prison term in 1980 for burglary but was paroled three years later. He had an earlier prison stint for burglary, plus arrests and jail time in Wood County for burglary, public intoxication, assault and theft. Riley is among the longest-serving of Texas' 334 condemned prisoners. He was convicted in 1986 and sentenced to death but the Texas Court of Criminal Appeals in 1991 overturned the conviction, finding a potential juror was dismissed improperly. At his retrial in 1995, he pleaded guilty and lawyers argued for life in prison. Prosecutors sought death and jurors agreed with them. "I have no hate," he said. "I was very sorry for what I did." At least six other Texas death row inmates have execution dates in the coming months, including Terry Hankins, 34, scheduled to die June 2 for a shooting rampage eight years ago in Tarrant County that left his two stepchildren dead. The children's mother also was gunned down. HUNTSVILLE, Texas — Locked up longer than his 23-year-old murder victim lived, condemned killer Michael Lynn Riley was executed for fatally stabbing a mother of two during a convenience store robbery in East Texas. "For those people that may think death penalty cases don't get proper examination, this is certainly evidence that's not true," Marcus Taylor, the now-retired Wood County district attorney who prosecuted Riley and sought the death penalty, said after watching Riley's punishment carried out. Riley, 51, apologized repeatedly in the moments before he received lethal injection Tuesday evening and became the 15th condemned prisoner executed in the nation's busiest death penalty state. "I know I hurt you very bad," he told relatives of Wynona Harris, the woman stabbed and slashed in February 1986 at a store in Quitman as she was robbed of about $1,000. "I truly am sorry for the hurt and pain I caused you." Brandy Oaks, who was 4 when her mother was killed, said she accepted Riley's apology and was pleased to hear it, although she had been prepared for the possibility Riley could wind up with a life prison term. "This is a difficult day and there are no winners on either side," she said. Oaks' sister, Jennifer Bevill, who was 1 1/2 at the time of the slaying, said she had to pray to seek forgiveness "for this person that has done this to your family." "It's strange. It's almost like I never had her to begin with," Bevill said about losing her mother. While he didn't volunteer for execution, Riley had asked friends to not pray that he receive a reprieve, and he repeated that sentiment to friends who witnessed his death. "I told you years ago that I was ready," he said. Eight minutes later, after urging his fellow death row inmates to "stay strong" and that "Fleetwood is out of here," using his death row nickname, Riley was pronounced dead. His appeals were exhausted and no last-ditch attempts to delay the execution were filed. The Texas Board of Pardons and Paroles also turned down a clemency request. Harris worked at the Shop-A-Minit convenience store in his hometown of Quitman, about 75 miles east of Dallas, and was a frequent customer. When he walked in that Saturday morning in February 1986 and asked for ice cream, she told him to help himself while she counted some money. Instead, he attacked her with a 10-inch butcher knife, stabbing and slashing her nearly three dozen times, then fled with about $1,000 in a money bag. A customer looking to get a gas pump turned on went inside the store and spotted Harris' battered body. Taylor said Tuesday evening Riley's death was considerably more peaceful. "It did not have the force and violence that hers did," he said. A milk delivery driver told police he noticed a man in distinctive coveralls hanging around outside the store. Detectives also followed bloody footprints to the murder weapon and a money bag. Riley, who was on probation at the time for a bad check conviction, turned himself in to authorities later that day after hearing police were looking for him. After detectives recovered his coveralls and the stolen money inside them, he confessed. Riley said gambling losses prompted the killing. "Dice took my life," he told The Associated Press recently from prison. "It's the worst drug habit you can have." In 2005, Riley was within days of execution when lawyers contending he was mentally disabled and ineligible for capital punishment won a court-ordered reprieve. Courts subsequently ruled he was not mentally disabled. Besides the forgery conviction for writing a bad check, he had an earlier nine-year prison term in 1980 for burglary but was paroled after three years. He had another prison stint for burglary, plus arrests and jail time in Wood County for burglary, public intoxication, assault and theft. He was convicted of Harris' murder in 1986 and sentenced to death but the Texas Court of Criminal Appeals five years later overturned the conviction, finding a potential juror was dismissed improperly. At his retrial in 1995, he pleaded guilty. Lawyers argued for life in prison. Prosecutors sought death and jurors agreed with them. On February 1, 1986, at approximately 9:30 a.m., Michael Lynn Riley fatally stabbed 23-year-old Winona Lynn Harris in the convenience store where she worked. On February 1, 1986, Riley, a Dallas County native, went to convenience store in Quitman. Armed with a butcher knife, Riley approached Wynona as she was counting money by the cash register and stabbed her to death. Police found her stabbed and cut thirty-one times; some of the stab wounds were delivered with enough force to sever the underlying ribs. Later that day, Riley went to the Sheriff’s office and explained that he had been told by an unknown person to come in and talk to the deputy about the murder. In response to initial questions, Riley said that he had not been to the store that day, and left. After later evidence emerged placing Riley at the store that morning, the Sheriff went to Riley’s house and brought him back to the office for further questioning. Riley led police to the evidence of the crime: bloodstained coveralls with $970 in the pocket that was hidden under some brush in a field close to Riley’s house. Riley waived his Miranda rights and confessed to the murder. The state of Texas twice tried, and twice convicted Riley for capital murder, nine years apart. The first conviction was subsequently overturned on appeal because of an error in jury selection. The Texas Court of Criminal Appeals in 1991 overturned Riley's conviction, saying that a potential juror had been improperly dismissed. Riley has at least six arrests contained in his record resulting in short stays in the Wood County Jail for burglary of a motor vehicle, public intoxication, aggravated assault with serious bodily injury, and theft by check. He was also placed on two years probation in Wood County in 1976 for burglary with intent to commit theft. In 1977, Riley violated his parole and received a two-year state prison sentence from Wood County for burglary with intent to commit theft. He was discharged from prison in 1978. In 1980, Riley was sentenced to nine years in state prison for burglary of a building. He was released on parole to Wood County in 1983. In Wood County in 1985, Riley was placed on five years probation for writing a bad check and a ten years probation for forgery. Wynona Harris's family feels that the execution is long overdue. "I don't know what to think right now," said Kitty Harris, Wynona's sister. "I never dreamed it would continue for this long. Her children were babies when it happened, and now they have babies of their own. That's how long we sat here with no closure on this." Ms. Harris said the family is glad a date has been set, but is wary that Riley may not get executed if he is proven to be mentally retarded. She said Riley's nonchalant nature about the murder at the trials showed that he had no regrets. "I hope this is the end of 20 years of emotional unrest," she said. "It's time to come to an end." Ms. Harris said that even though Riley had not committed violent crimes before, she strongly believed he would murder again. "Yes, this was his first time of violent behavior and taking another human being's life, but by no means do I think it would've been his last," she said. Ms. Harris said she is supporting the death penalty for Riley because her sister's murder tore her family to shreds. She said she doesn't think Riley deserves a place in society, or that tax dollars should go to keep him alive. "His mom gets handwritten letters and my mom gets to stare at a headstone," she said. Ms. Harris said despite her feelings about Riley, she still has empathy for his family, and she said she has raised her sister's children to not hate him or his family. "I sat in court and saw his mom brokenhearted," she said. "I just wanted to hug her ... I didn't want my children ever growing up thinking 'I hate this person.'" Some of the family members will likely witness the execution, Ms. Harris said. "It's been very, very difficult," she said. "There have been times when you have to talk yourself into keeping on believing in the justice system." UPDATE: Prior to his execution, Riley spoke to Wynona Harris's relatives including her two daughters and husband, saying, "I know I hurt you very bad. I want you to know I'm sorry. I hope one day you can move on and, if not, I understand." The daughters of Wynona Harris were young children when their mother was killed. Brandy Oaks said she accepted Riley's apology and was pleased to hear it. She was 4 when her mother, Wynona Harris, was killed. "This is a difficult day and there are no winners on either side," she said. "Her spirit will live on in our hearts and in our lives. "I think being here was something I needed. It's the last chapter in the book. I can close it. It's over for me, emotionally, I guess." Defendant was convicted of capital murder and sentenced to death following jury trial in the 114th Judicial District Court, Wood County, Galloway Calhoun, J. On automatic appeal, the Court of Criminal Appeals, Baird, J., held that challenge for cause to venireperson because of her opposition to death penalty was improperly sustained where venireperson consistently and unequivocally stated that she could answer statutory punishment issues affirmatively if proven beyond a reasonable doubt, despite conscientious objections to death penalty. On rehearing, the Court of Criminal Appeals, Clinton, J., adhered to its original determination and further held that so long as venireman affirms that she can in fact answer special issues in accordance with the evidence, neither difficulty she may have in doing so nor fact that it might violate her conscience renders her a “vacillating venireman” so as to require deference to determination of the trial court. Reversed and remanded and motion for rehearing overruled. Miller, J., dissented on original submission. On original submission, Campbell, J., dissented with note in which McCormick, P.J., and White, J., joined. Campbell, J., dissented on rehearing. On rehearing, White, J., filed dissenting opinion in which McCormick, P.J., and Miller, J., joined. Finally, our conclusion of Brown's improper exclusion is supported by the trial judge's own words when ruling on the State's challenge to Brown. The trial judge clearly stated he was excluding Brown because of her “moral and personal religious opposition to the death penalty.” This action was improper because Brown testified that she would not disobey the law or the jury instructions by answering the statutory punishment issues negatively in order to avoid rendering the death penalty. Durrough 620 S.W.2d at 142. The fact that Brown's views on the death penalty could have affected her performance was not sufficient grounds to disqualify her. Adams, 448 U.S. at 47, 100 S.Ct. at 2527. A veniremember may not be excluded from jury service based solely on his opinion of the death penalty when the record clearly demonstrates he is capable of following the law. Adams, 448 U.S. at 49, 100 S.Ct. at 2528; Cf. Wainwright v. Witt, 469 U.S. 412, 105 S.Ct. 844, 83 L.Ed.2d 841 (1985) (uncertainty in the record due to ambiguous questions as to whether a veniremember's views would “interfere” with her role as a juror requires deference to the trial judge's ruling on qualification). For the foregoing reasons, we sustain appellant's sixth point of error. The judgment is reversed, and this case is remanded to the trial court. Petitioner, convicted in state court of capital murder and sentenced to death, having exhausted state-court appeals, 889 S.W.2d 290, and postconviction remedies, sought federal habeas relief. The United States District Court for the Eastern District of Texas, Richard A. Schell, J., 215 F.Supp.2d 765, denied petition, and granted Certificate of Appealability (COA) on one issue. On petitioner's motion for additional COAs, the Court of Appeals, Clement, Circuit Judge, held that petitioner failed to demonstrate that reasonable jurists could have found district court's assessments of petitioner's claims were debatable or wrong. Motion denied. Petitioner, Michael Lynn Riley (“Riley”), is a death-row inmate in the custody of the Texas Department of Criminal Justice, Institutional Division. The district court granted Riley a certificate of appealability (“COA”) based on one of his sub-claims of ineffective assistance of counsel, because his trial counsel failed to investigate and present evidence with regard to Riley's possible mental retardation. In this motion, Riley urges this Court to grant him COAs on the three additional grounds that: (1) the trial court deprived itself of jurisdiction by granting a motion to set aside the indictment, which rendered Riley's conviction and sentence unconstitutional under the Due Process Clause; and (2) trial counsel was ineffective because, (a) he argued that there were no mitigating factors that arose from Riley's personal history, and (b) he failed to argue that Riley had accepted responsibility for his crime when trial counsel specifically urged him to plead guilty for that purpose. The state habeas court rejected all of the grounds Riley now advances on appeal, including his claim of ineffective assistance of counsel based on counsel's failure to investigate and present evidence of Riley's possible mental retardation. The Texas Court of Criminal Appeals adopted all but two of the state habeas court's findings.FN1 Aside from granting a COA based on Riley's sub-claim of ineffective assistance of counsel, the district court rejected these additional grounds as possible bases for a COA. We now DENY Riley's motion for additional COAs. FN1. The Court of Criminal Appeals declined to adopt the state habeas court's findings with regard to numbers thirty-nine and forty, which addressed trial counsel's failure to instruct the psychologist on Riley's future dangerousness. On February 1, 1986, at approximately 9:30 a.m., Riley fatally stabbed 23-year-old Winona Lynn Harris in the convenience store where she worked. Police found her stabbed and cut thirty-one times; some of the stab wounds were delivered with enough force to sever the underlying ribs. Later that day, Riley went to the Sheriff's office and told a deputy that he knew something about the murder, and left. The Sheriff went to Riley's house and brought him back to the Sheriff's office for further questioning. Riley led police to the evidence of the crime: bloodstained coveralls with $970 in the pocket that was hidden under some brush in a field close to Riley's house. Riley waived his Miranda rights and confessed to the murder. FN2. A colloquy between the court and Riley's counsel, Mr. Taylor, ensued, during which the court noted that she would deny the motion to set aside the indictment for issues related to Penry and the unconstitutionality of the statute. After the hearing, the court entered a written order, in which it checked “GRANTED”, rather than “DENIED”, in the space designated for the disposition of the motion. All parties proceeded to trial. Later, during Riley's state habeas appeal a year later, he challenged the validity of the trial court's jurisdiction due to its clerical mistake on the written order. The state habeas judge, who was the same as the state trial judge, held an evidentiary hearing. Based on the reporter's record and from state law, the judge determined that she had, indeed, denied the motion on the record, that the written order was clerical error, and that it was proper to rule on personal recollection. The state habeas court entered a nunc pro tunc order correcting the original order granting the motion to quash the indictment. The district court deferred to these findings in ruling that Riley was not entitled to a COA based on this ground. Riley's counsel, William C. Wright (“Wright”), advised him to plead guilty in the guilt phase,FN3 and primarily focused on the punishment phase of the trial. While Wright mainly concentrated on the issue of Riley's future dangerousness, he presented some testimony from Riley's mother and sister, who testified about Riley's childhood in a large family without a father, where he helped care for siblings and provided financial assistance to both his mother and sister at different intervals. Riley's cousin testified that Riley was a good athlete and had made clocks as gifts for his family while in prison. The defense further presented testimony from several prison staff employees who testified that Riley was a model prisoner, had not displayed any violent tendencies, and was not a future danger in the prison setting. Wright did not highlight any possible mitigating factors during closing argument, aside from that evidence which demonstrated that Riley would not be a future danger in the prison setting. Instead, he stated: “I'm not asking you to look at mitigation. It's not-not there. Wouldn't lie to you.” Wright later claimed, at the state habeas hearing, that his “no mitigation” argument was a measure taken to gain “credibility with the jury.” The state habeas court found that this was a “reasonable trial strategy under the facts of the case,” and that the outcome of the trial likely would not have been different if Wright had employed a different strategy. FN3. Although Riley entered a guilty plea before the jury, the State did not accept the plea because it sought the death penalty. The State entered a plea of “not guilty” for Riley for purposes of trial. Although Wright had advised Riley to plead guilty, in part, for the purpose of showing acceptance of responsibility for his crime, Wright never argued this point to the jury. Wright did, however, mention in his closing argument that Riley had confessed to the murder, and had led the police to the evidence when it was likely that the police would not have found it.FN4 Wright did not state that Riley had plead guilty, but he highlighted the fact that he and his co-counsel had put on a limited defense in the guilt phase.FN5 In the state habeas proceedings, Wright did not present an explanation for why he did not argue that Riley's guilty-plea was either relevant to future dangerousness or mitigation. FN6 The district court assumed that counsel had been deficient for failing to incorporate the guilty plea within his final argument, but concluded that Riley had not sufficiently established prejudice. FN4. 29 S. Tr. at 218. FN5. Id. FN6. The government claims that Wright did not present an explanation for his strategy because this ground for appeal was not advanced at the state level, and that the district court sua sponte re-formulated Riley's argument with regard to his guilty plea. Because Riley filed his habeas petition on April 1, 1998, the Antiterrorism and Effective Death Penalty Act (“AEDPA”) applies to this appeal. See Neal v. Puckett, 286 F.3d 230, 235 (5th Cir.2002)(citing Lindh v. Murphy, 521 U.S. 320, 324-26, 117 S.Ct. 2059, 138 L.Ed.2d 481 (1997) (noting that AEDPA applies to all federal habeas corpus petitions filed on or after April 24, 1996)). “Under AEDPA, a COA may not issue unless the applicant has made a substantial showing of the denial of a constitutional right.” Slack v. McDaniel, 529 U.S. 473, 483, 120 S.Ct. 1595, 146 L.Ed.2d 542 (2000) (quoting Barefoot v. Estelle, 463 U.S. 880, 894, 103 S.Ct. 3383, 77 L.Ed.2d 1090 (1983) (internal quotations omitted)). To obtain a COA, the petitioner must show that reasonable jurists could debate whether (or, for that matter, agree that) the petition should have been resolved in a different manner or that the issues presented were adequate to deserve encouragement to proceed further. Miller-El v. Cockrell, 537 U.S. 322, 123 S.Ct. 1029, 1039, 154 L.Ed.2d 931 (2003) (quoting Barefoot, 463 U.S. at 893 n. 4, 103 S.Ct. 3383 (internal quotations omitted)). In Miller-El, the Supreme Court stated that a petitioner seeking a COA must prove “something more than the absence of frivolity or the existence of mere ‘good faith’ on his or her part.” 123 S.Ct. at 1040. Furthermore, the Court reiterated the guideline set forth in Slack: when the district court has rejected the petitioner's constitutional claims, to satisfy § 2253(c), the petitioner “must demonstrate that reasonable jurists would find the district court's assessment of the constitutional claims debatable or wrong.” Id. (quoting Slack, 529 U.S. at 484, 120 S.Ct. 1595). Moreover, in considering the petitioner's claims, 28 U.S.C. § 2254(e)(1) provides that: a determination of a factual issue made by a State court shall be presumed to be correct. The applicant shall have the burden of rebutting the presumption of correctness by clear and convincing evidence. Riley claims that because the trial court entered and signed an order granting his motion to set aside the indictment, the trial court lacked jurisdiction over his trial under Texas law. As such, Riley claims that his conviction and death sentence violate the Due Process Clause of the Fifth and Fourteenth Amendments. The State contends that the trial court's grant of the motion was a clerical mistake, as demonstrated by the trial court's verbal ruling in open court, and that the state habeas court's nunc pro tunc order cured the error. The district court agreed, and concluded that the trial court's “later nunc pro tunc order validly and retroactively restored the trial court's jurisdiction.” Riley v. Cockrell, 215 F.Supp.2d 765, 772 (E.D.Tex.2002). This Court will consider the sufficiency of the indictment as a basis for habeas relief if the mistake in the indictment is so fatally defective that it deprives the convicting court of jurisdiction. Meyer v. Estelle, 621 F.2d 769, 771 (5th Cir.1980). It is well-settled under Texas law that when a trial court dismisses an indictment, the defendant is “discharged from the accusation against him ... and, accordingly, no jurisdiction remain[s] in the dismissing court.” Garcia v. Dial, 596 S.W.2d 524, 528 (Tex.Crim.App.1980); S tate ex rel. Holmes v. Denson, 671 S.W.2d 896, 898-99 (Tex.Crim.App.1984) (en banc). If the convicting court lacks jurisdiction, then “the power of the court to act is as absent as if it did not exist,” and the conviction and sentence are void. Garcia, 596 S.W.2d at 528. A trial court lacks jurisdiction to rescind an order to quash an indictment. Miller v. State, 909 S.W.2d 586, 592 (Tex.App.1995). Under Texas law, however, the entry of a nunc pro tunc order will cure a clerical error. Jiminez v. State, 953 S.W.2d 293, 295 (Tex.App.1997). An error is clerical in nature if it did not involve judicial reasoning in its making. See English v. State, 592 S.W.2d 949, 955-56 (Tex.Crim.App.1980) (holding that trial court was authorized to correct error by nunc pro tunc order overruling motion for new trial when the trial court had mistakenly signed an order granting a new trial). Riley relies on In re Wal-Mart Stores, 20 S.W.3d 734 (Tex.App.2000), for the proposition that once a court has dismissed an action, it cannot reinstate its jurisdiction solely on the basis that the dismissal resulted from a clerical error. Id. at 738. However, this case is inapposite. Riley neglects the fact that the plaintiffs in Wal-Mart never attempted to obtain a nunc pro tunc order. Rather, they argued that the court should ignore the order of dismissal, and issue a writ of mandamus to reinstate their case without officially correcting the mistake. See id. at 739. The court in Wal-Mart noted that a judgment nunc pro tunc may issue if there is “clear and convincing” evidence that the signed judgment did not accurately reflect the judgment rendered by the court. Id. at 739 n. 5. The court did not rule on whether a judgment nunc pro tunc would be appropriate, however, because neither of the parties had raised the issue. Id. In this case, the district court concluded, after careful analysis, that the entry granting the motion to set aside the indictment was a clerical error that did not involve judicial reasoning. Riley, 215 F.Supp.2d at 771 (citing Jiminez, 953 S.W.2d at 295; English 592 S.W.2d at 955-56). The district court based its conclusion on the fact that the trial judge stated in open court that the defendant's motions to set aside and quash the indictment were both denied. Riley concedes that the trial court stated that it did not intend to grant the motions to quash and set aside the indictment. Riley has failed to “demonstrate that reasonable jurists would find the district court's assessment of the constitutional claims debatable or wrong” with regard to this issue. Miller-El, 123 S.Ct. at 1040. Taking the state court's findings as correct, the district court determined that the state habeas court validly entered a nunc pro tunc order correcting what it found to be a clerical error. Even given the “clear and convincing evidence” standard set forth in Wal-Mart, Riley has not rebutted the presumption of the truthfulness of the State habeas court's conclusions. Based on the state habeas court's findings, mainly that the trial court stated that it denied Riley's motions to quash and dismiss the indictment, reasonable jurists could not differ on the conclusion that the trial court's grant of the motion to dismiss the indictment was, in fact, a clerical error. Accordingly, we deny Riley's request for COA on this claim. In his last two grounds for COA, Riley argues that Wright, his trial counsel for his second trial, was ineffective by: (1) arguing that there was no mitigating circumstances in Riley's case in closing argument; and (2) failing to argue that Riley's initial guilty plea was an acceptance of responsibility. The district court found that Wright was not ineffective on either of these grounds. A habeas petitioner who alleges ineffective assistance of counsel must demonstrate that counsel's performance was both (1) constitutionally deficient; and (2) resulted in actual prejudice. See Strickland v. Washington, 466 U.S. 668, 687, 104 S.Ct. 2052, 80 L.Ed.2d 674 (1984); Carter v. Johnson, 131 F.3d 452, 463 (5th Cir.1997). A petitioner's claim will fail if he does not establish both prongs of the Strickland analysis. Strickland, 466 U.S. at 687, 104 S.Ct. 2052. To establish the first prong of Strickland, the petitioner must show that counsel's performance fell below an objective standard of reasonableness. Id. at 688, 104 S.Ct. 2052. This Court's scrutiny of counsel's performance is highly deferential. Id. at 689, 104 S.Ct. 2052. “A fair assessment of attorney performance requires that every effort be made to eliminate the distorting effects of hindsight, to reconstruct the circumstances of counsel's challenged conduct, and to evaluate the conduct from counsel's perspective at the time.” Id. The petitioner must overcome the presumption that counsel's performance fell within the broad range of reasonable professional assistance. Carter, 131 F.3d at 463. Even if counsel's performance was deficient, the petitioner must still demonstrate that counsel's deficient performance rendered the verdict “unfair or unreliable” Lockhart v. Fretwell, 506 U.S. 364, 369, 113 S.Ct. 838, 122 L.Ed.2d 180 (1993). The petitioner has the affirmative duty to prove that but for counsel's deficient assistance, there is a reasonable probability that the outcome of the proceeding would have been different. Williams v. Taylor, 529 U.S. 362, 391, 120 S.Ct. 1495, 146 L.Ed.2d 389 (2000). If the petitioner brings a claim of ineffective assistance with regard to the sentencing phase, he has the difficult burden of showing a “ ‘reasonable probability’ that the jury would not have imposed the death sentence in the absence of errors by counsel.” Carter, 131 F.3d at 463. A “reasonable probability” is a “probability that is sufficient to undermine confidence in the outcome.” Williams, 529 U.S. at 391, 120 S.Ct. 1495. Riley contends that his counsel was ineffective because, although he presented mitigating evidence through testimony by Riley's mother, sister, cousin, and death row staff members, he ultimately argued in closing that there were no mitigating circumstances in Riley's case. Riley asserts that this tactic was objectively unreasonable, and that it prejudiced the outcome by rendering the sentencing proceedings unreliable. The State, however, argues that Wright's singular comment-“I'm not asking you to look at mitigation. It's not-not there. Wouldn't lie to you”-was not enough to constitute ineffective assistance of counsel, especially when viewed in light of his entire closing argument. Instead, the State maintains that Wright's strategy was to focus on the future dangerousness aspect of the sentencing phase, and therefore his “no mitigation” argument fell within the broad range of reasonable professional assistance. 43. [A]ny attempt by counsel to minimize the macabre facts or Applicant's responsibility and culpability for them would have resulted in a complete loss of counsel's credibility before the jury and hurt the most evidentiary [sic] supported argument of lack of future dangerousness. The argument of counsel was a reasonable tactical trial strategy decision to advance the defensive theory to concentrate on the issue of future dangerousness. 44. Applicant's trial attorney's conceding there was no mitigation evidence was a tactical trial decision made after thorough, thoughtful, and meaning [sic] consideration of all the evidence. Such a tactical decision was reasonably (thought [sic] unsuccessfully) made to promote credibility with the jury in advancing what counsel believed was the strong trial theory to obtain a negative answer on the future dangerousness issue which would insure a life sentence and avoid the death penalty. The Texas Court of Criminal Appeals adopted the state habeas court's finding that Wright's “no mitigation” argument was a means of promoting credibility with the jury, and that his strategy was to focus on future dangerousness. Presuming that the state habeas court's finding was correct under § 2254, the district court found that Wright's performance was not ineffective under the Strickland analysis. The district court noted, however, that by putting on mitigating evidence and later arguing that there were no mitigating factors, would seem to lessen, rather than enhance, Wright's credibility with the jury. As such, the district court hypothesized that Wright's strategy was likely directed at framing the inquiry for the jury, as he had earlier argued that the jury should disregard emotional appeals made by the prosecution in its closing argument.FN7 Because the district court could “discern a sound strategy underlying counsel's actions, it [found] that those actions were not unreasonable.” Riley, 215 F.Supp.2d at 779. FN7. Specifically, the district court found: [c]ounsel repeatedly argued that the jury should ignore the prosecution's attempts to play on their emotions and their sympathy for the victim and instead simply decide the second special issue (future dangerousness), based solely on the relevant evidence. By bringing in similar emotional evidence in Riley's favor and casting it aside, counsel modeled for the jury how they should decide the case, while at the same time possibly balancing somewhat the impact of any emotional appeal by the prosecution in its closing arguments. 215 F.Supp.2d at 779 (citations omitted). Mitigating evidence that illustrates a defendant's character or personal history embodies a constitutionally important role in the process of individualized sentencing, and in the ultimate determination of whether the death penalty is an appropriate punishment. Moore v. Johnson, 194 F.3d 586, 612 (5th Cir.1999). Counsel may be deemed constitutionally ineffective if he fails to exercise reasonable professional judgment in investigating a defendant's personal history if the defendant's background would be relevant in evaluating his moral culpability. See Wiggins v. Smith, 539 U.S. 510, 123 S.Ct. 2527, 156 L.Ed.2d 471 (2003) (holding counsel was ineffective for failing to investigate the “powerful” mitigating evidence relating to defendant's extremely troubled personal history). Even given the important role of mitigating evidence, however, counsel's performance is not per se deficient if he fails to present such evidence. See id. ; Moore, 194 F.3d at 615. In determining whether counsel's treatment of mitigating evidence prejudiced the petitioner's defense, a state court must “evaluate the totality of the available mitigation evidence-both that adduced at trial, and the evidence adduced in the habeas proceeding in reweighing it against the evidence in aggravation.” Williams, 529 U.S. at 397-98, 120 S.Ct. 1495. When examining counsel's closing argument to determine whether it was ineffective, this Court considers the closing argument in its entirety. Carter, 131 F.3d at 466 (citing Teague v. Scott, 60 F.3d 1167, 1173 (5th Cir.1995)). To establish credibility with the jury, counsel may make a tactical decision to “acknowledge the defendant's culpability and may even concede that the jury would be justified in imposing the death penalty.” Id. ; see United States v. Short, 181 F.3d 620, 624 (5th Cir.1999). Examining Wright's closing argument in its entirety, the State habeas court and the district court were not unreasonable in concluding that Wright's actions were not unreasonable. The district court's alternative hypothesis for Wright's strategy of presenting mitigating evidence, but later arguing that there was no mitigation as a means of framing the inquiry for the jury, may be plausible. Yet, this alternative explanation is dicta, and is not firmly grounded in the evidence presented at the state habeas proceeding. Wright explicitly stated at the state habeas hearing that he employed the “no mitigation” argument to gain credibility with the jury.FN8 While the district court did not find this to be a convincing rationale, it nevertheless noted that, pursuant to § 2254, it presumed correct the state court's finding that Wright's decision was strategic. FN8. During the hearing, the following colloquy between Riley's habeas lawyer, Barry Bryant, and Wright, ensued: BRYANT: What would be the purpose of a lawyer arguing that his client is not a good guy? WRIGHT: I think the purpose is to-if you come in and strike the jurors as being unrealistic and untruthful on the small issues, that when you get to the big issues, you have no credibility left. * * * BRYANT: What did you hope to gain by saying, there's no mitigation, as opposed to simply not arguing it at all? WRIGHT: Credibility with the jury. 2 S.H. Tr. at 91, 94. Although Wright presented mitigating evidence during the penalty phase, it is evident from his closing argument and the subsequent habeas hearing that he believed that Riley's strongest argument was lack of future dangerousness. Accordingly, his contention that it was his strategy to focus on this issue, for which he had strong evidence, rather than including the issue of mitigation, does not seem implausible, or unreasonable. Throughout the closing argument, Wright not only argued that Riley would not be a future danger in the prison population, he also stressed the importance of the jury's decision, and stated that justice demanded a life sentence, rather than death. Thus, given the deference entitled to the state habeas findings under § 2254, and the likelihood that Wright's “no mitigation” argument, while perhaps improvident, was part of his strategy to gain credibility with the jury and focus on the stronger issue of lack of future dangerousness, the state habeas court and district court were not unreasonable in concluding that Wright was not ineffective under Strickland. In his final ground for seeking a COA, Riley argues that Wright's performance was ineffective because he failed to argue that Riley's guilty plea constituted acceptance of responsibility, despite the fact that Wright urged Riley to accept a guilty plea, in part, for the purpose of showing acceptance of responsibility. The State claims that Riley cannot raise this as a ground for COA, as he never raised the “guilty plea” argument in the present posture until the district court addressed Riley's ineffective assistance claims. The State contends that, at the state level, Riley argued only that Wright's performance was deficient in advising Riley to plead guilty in the guilt phase-not that his performance was ineffective because he did not argue acceptance of responsibility as a mitigating factor in closing arguments of the sentencing phase. Section 2254(b)(1) requires a petitioner to exhaust his remedies in the state courts before applying for relief in federal court. See Wilder v. Cockrell, 274 F.3d 255, 259 (5th Cir.2001). “To exhaust, a petitioner must have fairly presented the substance of his claim to the state courts.” Id. (internal quotations and citations omitted). It is not enough that the facts applicable to the federal claim were all before the State court, or that the petitioner made a similar state-law based claim. Anderson v. Harless, 459 U.S. 4, 6, 103 S.Ct. 276, 74 L.Ed.2d 3 (1982). The federal claim must be the “substantial equivalent” of the claim brought before the State court. Fisher v. Texas, 169 F.3d 295, 303 (5th Cir.1999). Yet, the petitioner “need not spell out each syllable of the claim before the state court” for a claim to have been “fairly presented”, and thereby fulfill the exhaustion requirement. Id. AEDPA's deferential standard of review does not apply if a petitioner has properly exhausted his claim by raising it in the state court, but the state court misunderstood the nature of the claim, and therefore did not adjudicate that particular claim on the merits. See Henderson v. Cockrell, 333 F.3d 592, 598, 2003 WL 21310813 at *4 (5th Cir.2003) (citing Chadwick v. Janecka, 312 F.3d 597, 606 (3d Cir.2002)). This Court reviews such claims under pre-AEDPA standards of review. Id. ; see Jones v. Jones, 163 F.3d 285, 299-300 (5th Cir.1998) (applying de novo review to an ineffective assistance of counsel claim that petitioner raised in state court, but the state court did not adjudicate on the merits). [A]ny benefit by pleading guilty to the jury was wasted when trial counsel conceded that there was no mitigation evidence. Applicant's plea of guilty could have been effectively argued as evidence of Applicant's acceptance of responsibility and remorse for his conduct. Acceptance of responsibility has been recognized as mitigation evidence. 1 C.R. at 22. N10. 2 S.H. Tr. at 85-86. The district court assumed, arguendo, that Riley established the first prong of Strickland, and that the jury did not factor in Riley's guilty plea and acceptance of responsibility, but they would have if Wright had made the argument. Notwithstanding this conclusion, the district court found that Riley failed to prove that Wright's ineffective performance prejudiced the outcome of the sentencing proceedings, because the jury had found that there was a probability that Riley would be dangerous in the future. The district court concluded that it was improbable that the mere fact that Riley accepted responsibility for his past conduct would cause the jury to overlook his future dangerousness. Here, Riley has not demonstrated that reasonable jurists would find the district court's assessment of his claim was debatable or wrong. Wright stated in his closing argument that Riley had confessed and led the police to evidence that they may not have found otherwise. Because the jury had this information before them, it is possible that a juror may have taken it into consideration, and ultimately determined that this mitigating factor did not outweigh the aggravating factors of his crime, given that it was so brutal in nature. See Williams, 529 U.S. at 397-98, 120 S.Ct. 1495 (explaining the importance of weighing mitigating evidence versus aggravating factors). As such, it is unlikely that reasonable jurists would find it debatable that Wright's deficient performance in this regard rendered the jury's decision unreliable. Moreover, it was not unreasonable for the district court to conclude that it was possible that, by arguing that Riley had accepted responsibility as a mitigating factor, Wright would not have caused the jury to overlook the issue of future dangerousness. This is especially true, considering that Wright's main strategic goal was to show that Riley was not a future danger. Thus, we deny COA on this claim. For the foregoing reasons, we DENY Riley's motion for additional COAs based on his claims of lack of jurisdiction to prosecute, and ineffective assistance of counsel for arguing “no mitigation” and failing to argue that Riley had accepted responsibility for his actions by pleading guilty.